This year marks the 18th anniversary of Pickering Christian School's "Whole-in-One" Golf Tournament. Last year 110 golfers enjoyed a wonderful day of golf, fellowship and great weather in support of Pickering Christian School and Christian Education in the Durham Region. Our friends at Royal Ashburn did a great job hosting us and we are looking forward to another amazing day this year. Be sure to get your registrations in as soon as possible, to insure you get a spot in this year's event. 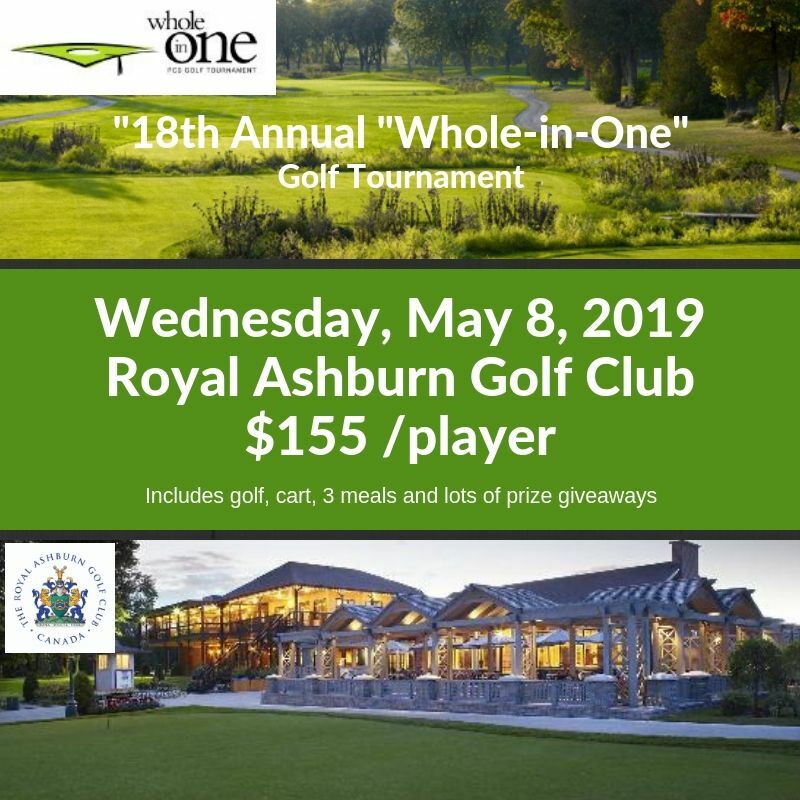 Please be sure to forward this information to anyone you think would enjoy a great day of golf, fellowship and an opportunity to support Pickering Christian School and Christian Education in Durham Region. We look forward to the opportunity of partnering with you in order to accomplish our vision as a school.